• First, it was Wal-Mart, after the company sold beverage insulators that YETI thought was too close to its own. • Next, it was Axis Cups and Bayou Ice Boxes. • After that, it was Home Depot and Takeya. So, obviously, YETI is not one to back down from a fight, even from big-time retailers like Wal-Mart and Home Depot. And now, just like it did before, YETI is taking on three more companies for selling "confusingly similar" products to its own—RELYMedia, CreekFire and Nine Line Apparel. "YETI has sold millions of the 20 oz. Rambler tumblers throughout the United States, including sales to customers in the state of Texas," the company said, according to the American-Statesman. 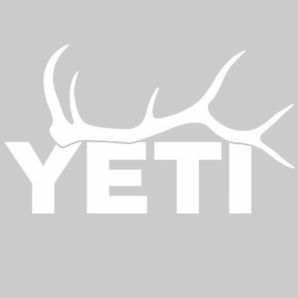 "YETI Has invested significant resources in the design, development, manufacture, advertising and marketing of the 20 oz. Rambler tumbler. The design and features of the 20 oz. Rambler tumbler have received widespread and unsolicited public attention. For example, the 20 oz. Rambler tumbler has been featured in numerous newspaper, magazine and internet articles." The common factor in each of these lawsuits is that the companies are all selling similar products at a lower price than YETI. For example, the Rambler tumbler goes for $24.99 on YETI's site, but the similar product goes for $15 from CreekFire. Just like before, YETI is requesting that the companies recall all infringing products, and provide refunds to customers who purchased them. While the YETI products are functional, and have been wildly popular recently, it's in promotional products professionals' best interests to steer clear of selling anything too similar. YETI is not afraid to release the hounds*. *By hounds, we mean lawyers.